Fits all Omc Stern drives from 1973 to 1985. 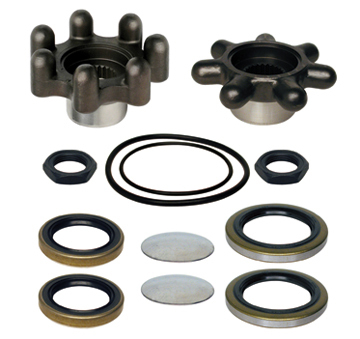 Includes both ball gears, Ball gear nuts, Ball gear covers, and all the seals needed to complete the job. Need a transom plate seal also? 1978 to 1985 Use part number 86710. 1967 to 1977 Use part number 86700.